Pressure-dispersing dual comfort gel cushion adds top-to-bottom comfort to any seat. Extra-soft, fleece-covered gel cushion adds plush padding to the seat and back to make sitting more comfortable, even for long periods. Perfect for standard chairs and wheelchairs. 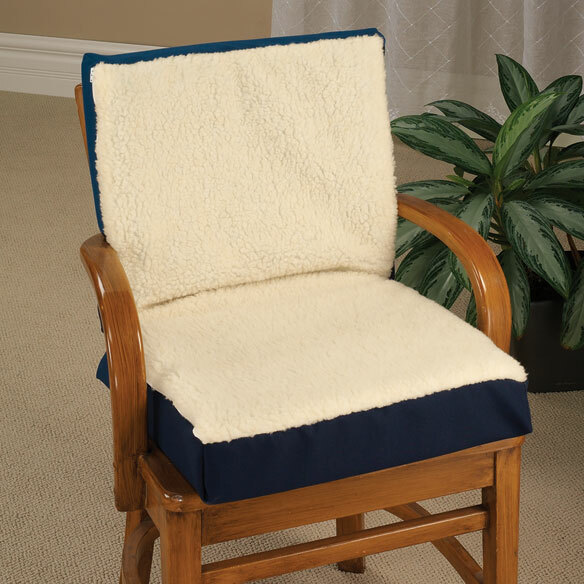 Chair cushion folds for extra cushioning or easy storage. Seat cushion measures 18”W x 16”D x 4”H. Back measures 18”W x 16”D x 3”H. Hand wash cover in cold water; line dry. Use in chair that is used frequently. 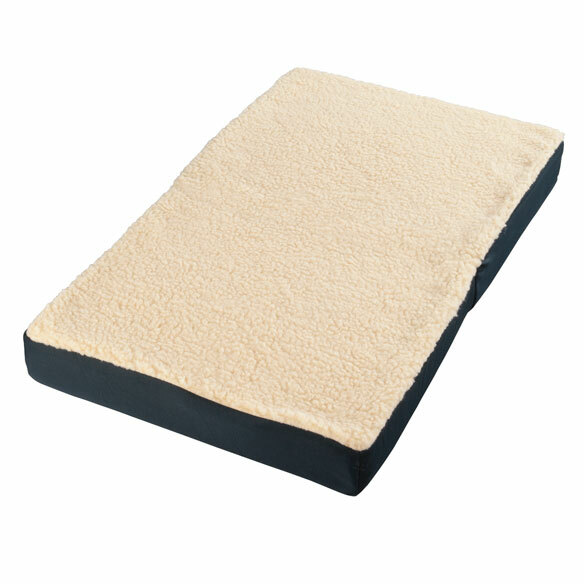 Comfortable and helps to relieve back pain. Dual Comfort Cushion too deep for regular chairs! Had to return it because it was too deep for the chairs in my house! I am having back surgery and thought this might make hard chairs more comfortable (like my desk chair). It made the chair so small that I slide off the front. I wish I had bought only the seat, without the back part. I have artificial hips and struggle from pain when sitting. I am hopeful these cushions will help. my mom had one. Very comfortable. Sofa too low & hard to get up from. Painful back and joints. Chair too big. Hope that it will fit me better. For use in husband's recliner to relieve osteoarthritis, hopefully. Looks like a good deal. Will know more once it's received & used by my Mother. I use this in my wheelchair. Good support and the height makes it easier to get out of the chair. Comfort and support of back. Need additional cushion for my back. This looks like a great product, given how it is constructed. This is for my 93 yr. old mother. Difficulty sitting on my sofa due deep/low Seat and my inability to get up. This should give my Mom the padding she needs to sit comfortably in her chair. She is not comfortable, even in her recliner when sitting straight up, and this can be transferred to her wheelchair as well. Give more support & comfort will sitting in chair or couch. Same goes for this item. Looked very comfortable so I got this for my husband to help ease his back troubles. after back surgery I want to be comfortable in any chair. It had a gel interior. My husband chose it from the catalog for his recliner. It has good review. My mom uses this to seat on in her kitchen chair. She says it helps her back and is more comfortable to sit on rather than the chair cushion. She has already used on of these cushions and needed another to replace the old cushion. Will this cushion fold for easy carry? BEST ANSWER: Thank you for your question. Yes, it folds for easy carrying. We hope this information will be of help to you.